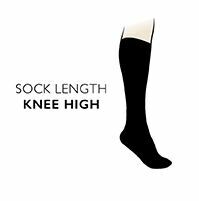 A long, fine knit designed to flatter legs, Burlington Marylebone Argyle Wool Knee Highs are superb women’s socks made with soft virgin wool and high quality details that set them apart from standard hosiery. The soft, smooth woven diamond pattern socks have hand linked toes for smooth seams and reinforced heels, with the Burlington signature metal button stud at the ankle, showing everyone that you have great taste as well as style! If you prefer a shorter length sock, may we suggest Burlington Marylebone Argyle Wool Socks that are also available from us.